Create an email marketing campaign and build your subscriber base—is this on your to-do list? It can be done, and there are some great tools to help you! Using WordPress newsletter plugins, you can convert site visitors to subscribers and then build a campaign to engage your list in a timely and effective way. In this article, we’ll look at Mailster, a top-notch MailChimp alternative that provides all the functionality at a fraction of the cost for ongoing campaigns, as well as a selection of popup plugins that will help you generate high-quality conversions from page visits. Mailster is the campaign builder solution for WordPress. This WordPress newsletter plugin gives you a full-service email marketing package, so you can create, send, and track your newsletter campaigns all within one tool. The drag-and-drop live template builder allows you to create a campaign in minutes, and no coding experience is required to get started. All your data is stored within your WordPress installation, so you can easily manage, edit, and segment subscribers as needed. Mailster allows you to schedule campaigns with single or double opt-in support and is perfect for running multi-language campaigns. This plugin allows you to create autoresponders for automatic emails, follow-ups, and birthday greetings. Mobile-ready, Mailster looks great on all devices. Advanced analytics allow you to track your campaign lists and subscribers in real time, and provide you with in-depth statistics on opens, clicks, bounces, along with the geographic data on your visitors, all of which can be used to help you improve your conversion rate. 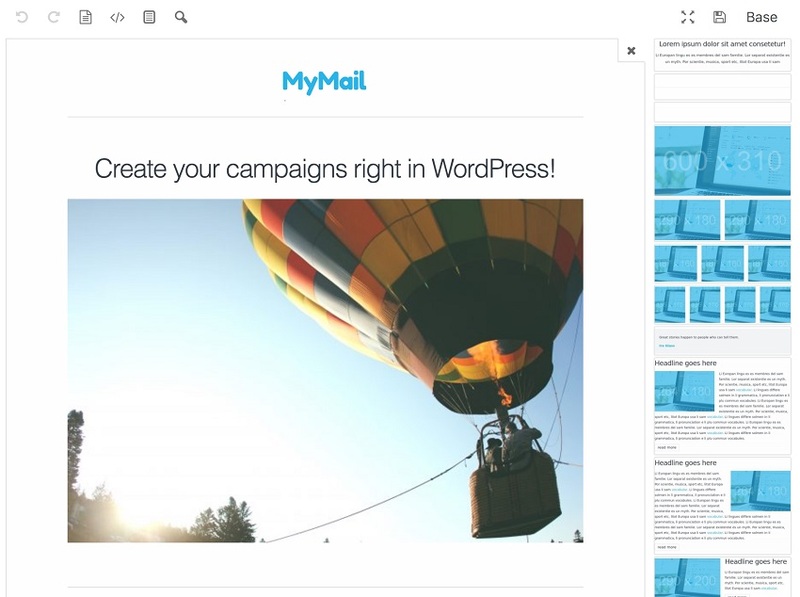 I bet this sounds a lot like some other newsletter plugins, and in a lot of ways it is: Mailster offers the same powerful campaign building tools as the MailChimp WordPress plugin. The difference with Mailster? No ongoing subscription fees. Unlike many similar options, Mailster charges no recurring fees for storage and management, so you have all the power of MailChimp for a fraction of the cost. Now that you have your WordPress newsletter plugin in place, you are probably looking for a way to build your subscriber base. Popup plugins are a great way to do just that. The following plugins allow you to create popup forms—triggered by visitor behaviour such as clicks or scrolls—that prompt your site visitors to subscribe to your newsletter, fill out a contact form, or perform other desired behaviour, all in order to encourage an ongoing relationship with your visitors. These popups give your users a nudge to connect more deeply with your content, and when used judiciously, they can be a great way to build your subscriber base. Encourage visitors to take an action on your site—such as subscribing to your newsletter or providing their email address to unlock content—using these professionally designed popups. Plugins like Ninja Popups allow you to increase the subscriber count of your newsletter with visitors who are already engaged with your content. These high-quality leads allow you to build on your pre-existing relationship for future marketing. Compatible with Mailster, MailChimp, and more, this plugin is easy to configure using the drag-and-drop editor, so you can create unlimited popups with the possibility for page-level targeting. Master Popups is a powerful WordPress email marketing plugin that allows you to create a range of popups and notification bars with just a few clicks. Using this plugin’s versatile templates, you can easily create modal, full-screen, inline, and widget popups containing content like subscription forms, images, videos, and shortcodes that will help you capture subscriber email addresses. All popup templates are fully customizable, and you are able to control when, where, and how you popups appear on your website using this plugin’s highly targeted display settings. Master Popups integrates seamlessly with email marketing software, and your data can be saved directly to WordPress, Mailster, MailChimp, and other CRMs in order to manage leads and run campaigns. Avoid popup burnout with Ninja Kick, a WordPress list-building plugin with elegant and unobtrusive opt-in forms that engage viewers rather than annoying them. With clean design and sliding animation, this simple yet powerful plugin comes packaged with 30 background options and a variety of opening patterns to customize your subscription form. Modern CSS3 transitions, screen size responsive layouts, and swipe sensitive design make sure this plugin displays beautifully for all users. Using this plugin, you are able to control which user actions trigger the subscription form, create rules to hide or display the opt-in form, and build different forms for different pages on your website—there is a lot of potential with this plugin. Ninja Kick supports Mailster, MailChimp, and other options. 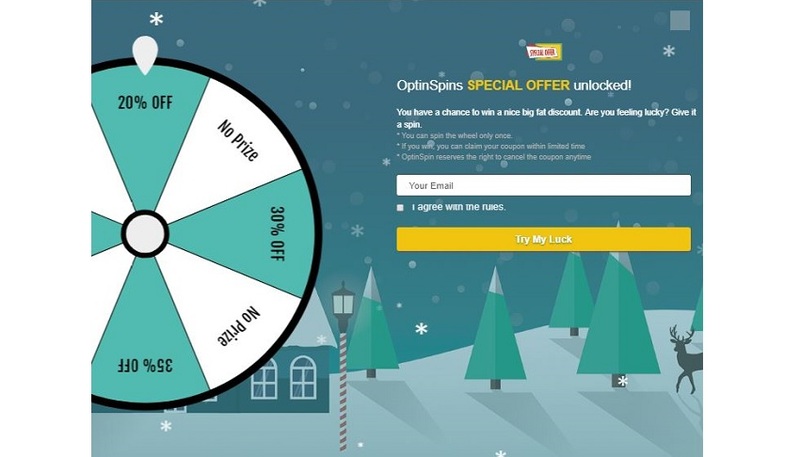 A fun twist on popup plugins, OptinSpin engages website visitors with a spinning prize wheel in order to convert visitors into customers and subscribers. This plugin is fully integrated with WooCommerce coupons, Mailster, and MailChimp, so you can automate prizes for your visitors and use the customizable email template to manage prize options for your site visitors. Set win probabilities for each prize, choose colours, and upload your logo to personalize your prize wheel using the drag-and-drop editor. With WordPress newsletter plugins, you can create a full marketing campaign—from generating subscribers to creating targeted, ongoing campaigns—in minutes. If you are looking for a campaign builder, Mailster is a strong contender. Paired with any of the popup plugins mentioned above, you’ll have an easy-to-use and powerful marketing tool at your fingertips. What’s New for Devs in iOS 12 and Xcode 10?